First Peter 3:15-16 instructs us to be ready to explain the hope we have in Christ when people ask us, and to do so with gentleness and respect. Some of us are quick to give explanations for our faith, but fail to be gentle and respectful. Some of us are quick to be gentle and respectful, but fail to explain anything. Both extremes leave everybody frustrated. So how can we learn to share the hope we have in Christ, both through our positions and our dispositions? Coaches equip their teams, ship captains equip their crews, and school teachers equip their students. Just as well, it’s the job of spiritual leaders to “equip God’s people to do his work” (Ephesians 4:12). Some of the best equipment I’ve found comes from the practitioners of the faith who have dedicated their careers to investigating history, philosophy, science and archaeology to make a case for the Christian worldview. 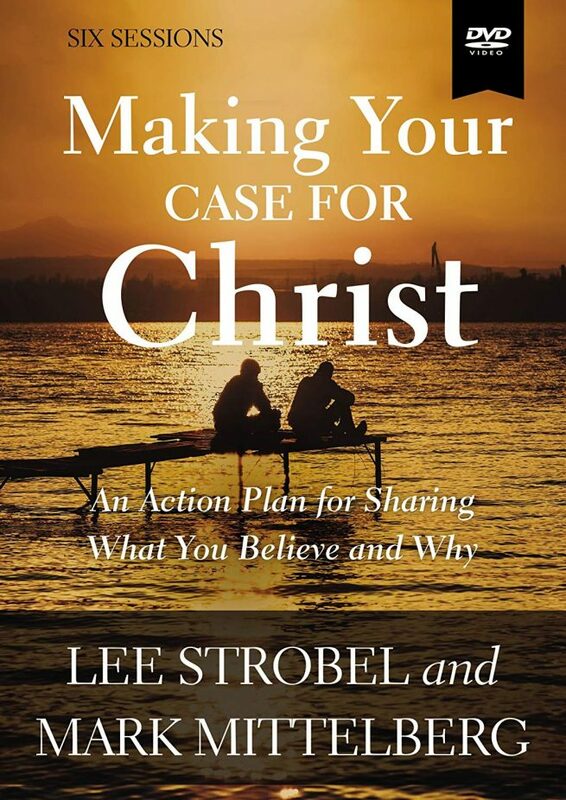 Two of my favorite apologists are Lee Strobel and Mark Mittelberg, who just tag-teamed a new video curriculum, Making Your Case for Christ, based on the bestselling book, The Case for Christ, and the recent movie by the same title. The kit also contains an updated and expanded copy of The Case for Christ book and a Study Guide that follows the videos. This guide offers tips for group leaders, questions and related scriptures for discussion, and even some “Between Sessions Personal Study” for reflection and application.